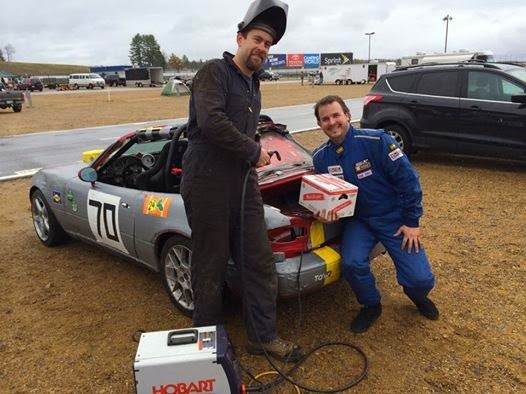 One Hot Lap: Park Bench Racing is at the 24 Hours of Lemons at NHMS This Weekend! 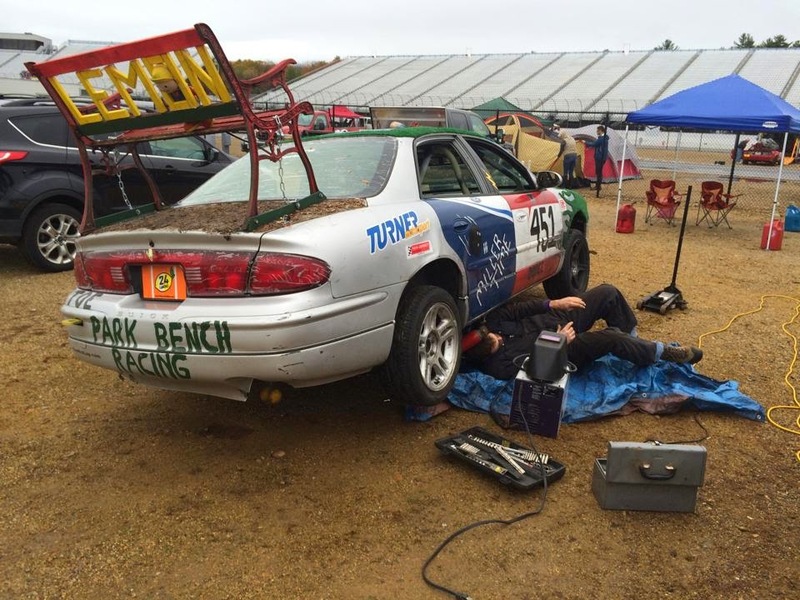 Park Bench Racing is at the 24 Hours of Lemons at NHMS This Weekend! If you are looking for something to do this weekend besides apple picking and Halloween parties, come up to Loudon, NH and watch some wanna-be racers take on the road course at NHMS. 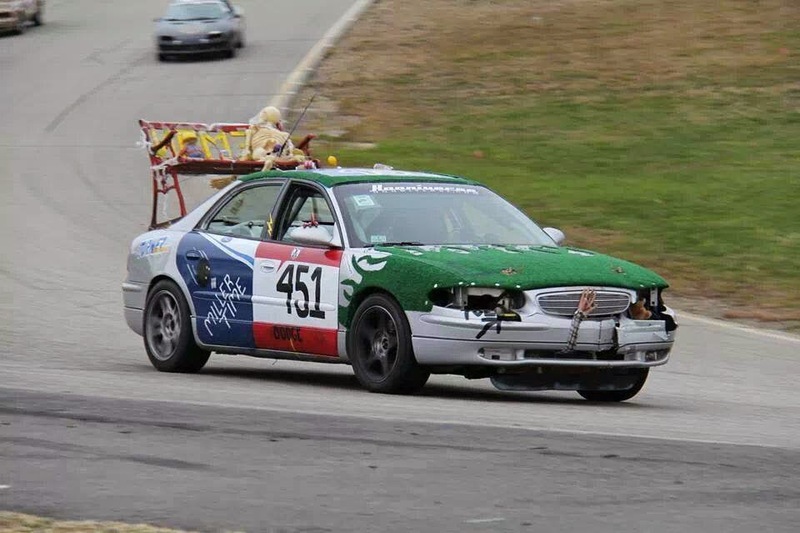 You will be greeted with race cars that started out at less than $500, crazy car decorations, and drivers with a few screws loose (like their cars). Keep an eye out for our Park Bench Racing Team. The team will be driving a Buick Regal they 'borrowed' from grandma with a park bench on the back for a spoiler (it really does work). 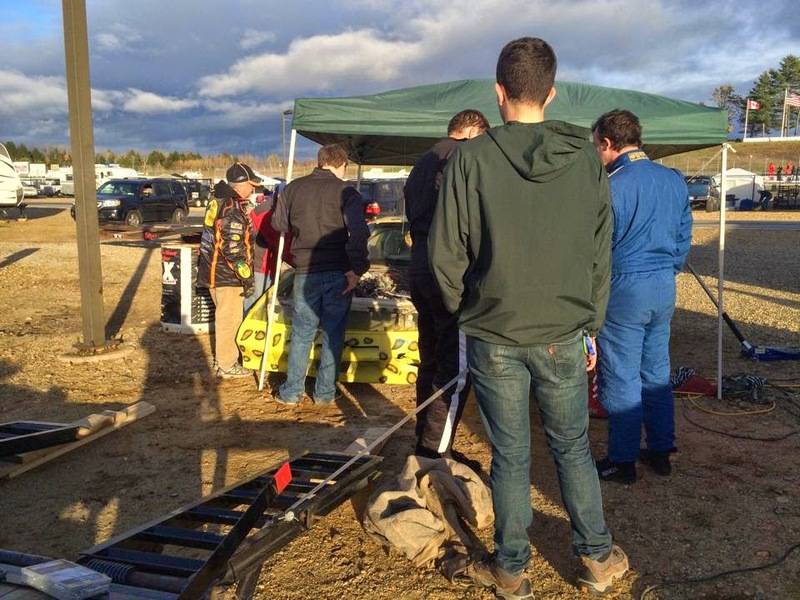 Come on by the pits and say Hi unless we are desperately trying to fix something (extremely likely), in which case grab a rag, tool or fire extinguisher and try to help us get 'er going again. Hope to see you there and thanks in advance. ... welded the racecar's exhaust back on, replaced two hubs, passed inspection, tested the car, and is ready to lay down some serious rubber at the race!